large apartment in a panoramic villa in the Tuscan hills. 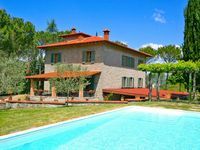 Property 108: large apartment in a panoramic villa in the Tuscan hills. Romantic, totally private small cottage. Wi-fi, pool, garden, quiet. Perfect for honey moon. Property 115: Romantic, totally private small cottage. Wi-fi, pool, garden, quiet. Perfect for honey moon. Villa, private heated gated pool, hot tub, and beautiful mature gardens! Property 119: Villa, private heated gated pool, hot tub, and beautiful mature gardens! Nineteenth-century mansion with a medieval tower. Property 135: Nineteenth-century mansion with a medieval tower. Old independent farmhouse with private pool and garden, internet connection. Monte San Savino. 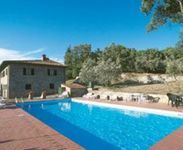 Property 140: Old independent farmhouse with private pool and garden, internet connection. Monte San Savino. Het huis is groot en goed uitgerust, maar een beetje donker. Het was niet warm in huis en je kon goed slapen. Het huis ligt op een zeer mooie locatie en het is erg snel in het volgende dorp en kan ook Siena en Florence snel bereiken. Echt heel leuk! We thoroughly enjoyed our stay here. Perfect for our Yoga/Pilates retreat and day trips to Siena, Florence and Arezzo! Highly recommend, the owners have had this vineyard in their family for 4 generations and take great care and pride of their family estate. The perfect getaway I would go again! Thank you Rosie and Alessandro for taking care of our every need!